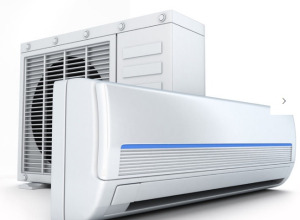 Here at ACR London Ltd, we offer air conditioning, refrigeration, domestic air conditioning, commercial air conditioning, domestic refrigeration, commercial refrigeration, refrigeration maintenance, air conditioning installation, refrigeration installation and air conditioning maintenance to clients throughout Welling and the throughout the whole of London. If you’d like additional information on the services that we offer, be sure to get in touch with our experienced team today. We’d love to hear from you and assist you in any way we possibly can. We’re able to undertake all aspects of air conditioning work to both domestic and commercial customers throughout London. No matter what type of air conditioning service you might require, you can count on ACR London to provide it for you. We offer a range of equipment from some of the top brands in the air conditioning industry such as LG, Mitsubishi, Daikin and much more. For more information on the air conditioning services that we offer throughout London, feel free to give us a call. One of the ACR London team are always on hand to assist. We’re always here to take your call, deal with any enquiries and answer any questions that you may have regarding the air conditioning and refrigeration services that we provide throughout London. Alternatively, you can take a look at our website to see a full overview of the air conditioning and refrigeration services that we offer throughout Welling and Kent, we’re sure you’ll love what you find.